Description: 1963 Gubernatorial election campaign. 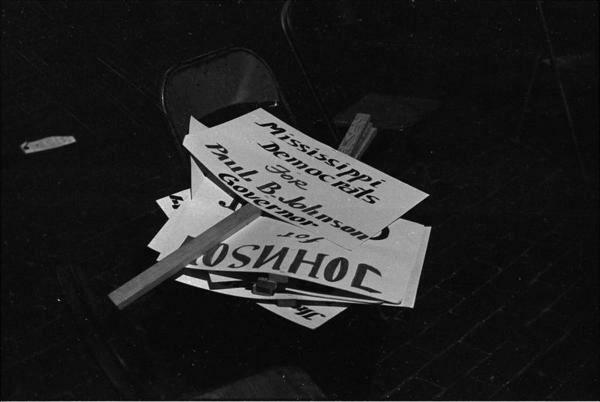 Rally for Paul B. Johnson Jr. October 8, 1963, in Hattiesburg. Stack of political posters.